Our Cloud First Digital Strategy will be a major step towards raising standards in the provision of Irish Healthcare. It will provide affordable, scalable and securely robust cloud architecture for all Irish Healthcare solutions. 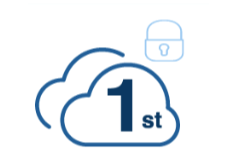 Our strategy is securely and technologically advanced, through fast cloud infrastructure deployment delivering high performance infrastructure to all new applications and to our latest disaster recovery programme. It will also allow the migration of current national systems under a new procurement framework. We strive to maximise on our current resources to reduce costs against the disruptive maintenance requirements of traditional IT systems. It fully supports the strategic programmes under the eHealthIreland portfolio and offers fast provision of test and development platforms for all future projects. The modernisation the Irish health service and driving down costs will drive up the quality of patient care and attract world class investment and spur employment creation. Ireland is now the first member of the “Cloud in Health Advisory Council” to agree a Cloud First policy. This was announced during eHealth Week in Amsterdam on June 8th 2016 by Richard Corbridge, CIO HSE. A Cloud First policy prescribes that all future procurements are to be developed as “Cloud First” solutions and will have to create a special case to not be considered in this manner. A recent report by the World Health Organization suggests that many other EU member states have already started to integrate digital solutions into their healthcare strategies. We will gain better compliance with the forthcoming EU GDPR regulations and be strictly adhered to the latest Industry ISO standards across our entire infrastructure. The measurable difference in the quality of healthcare infrastructure provision worldwide will be set by adherence to these standards. Achieve modernisation of the Irish Healthcare System for world class investment and employment creation.